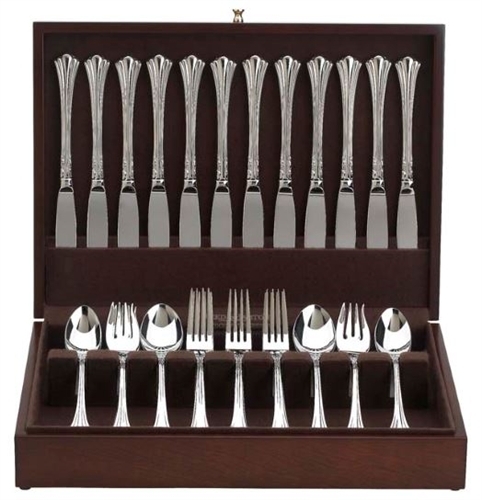 The Somerset Flatware Chest is a wonderful piece for any flatware service. 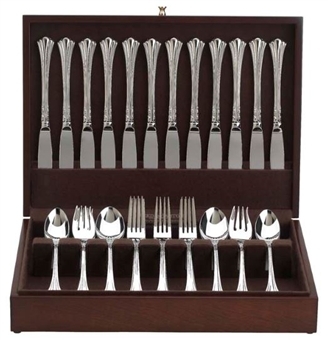 Fully-lined in dark brown, tarnish-resistant silver flannel, it has a rich mahogany finish that will look great wherever you place it, whether kitchen counter top or formal dining room with buffet or china cabinet. You can personalize this piece at no extra cost!